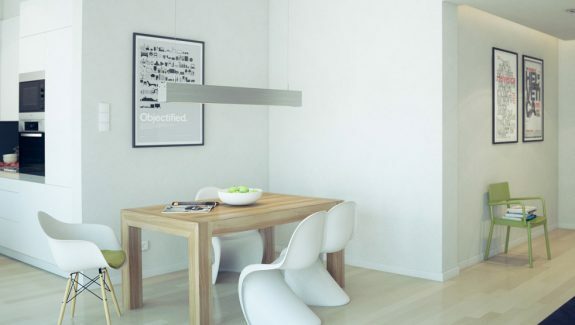 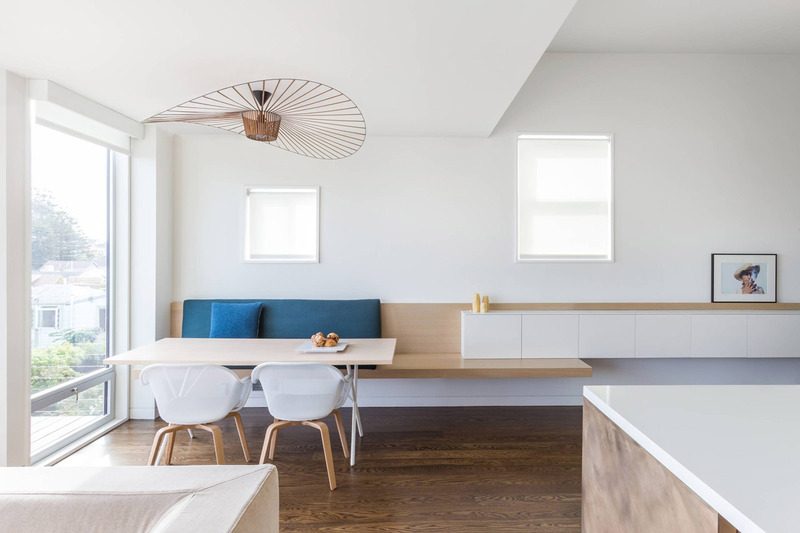 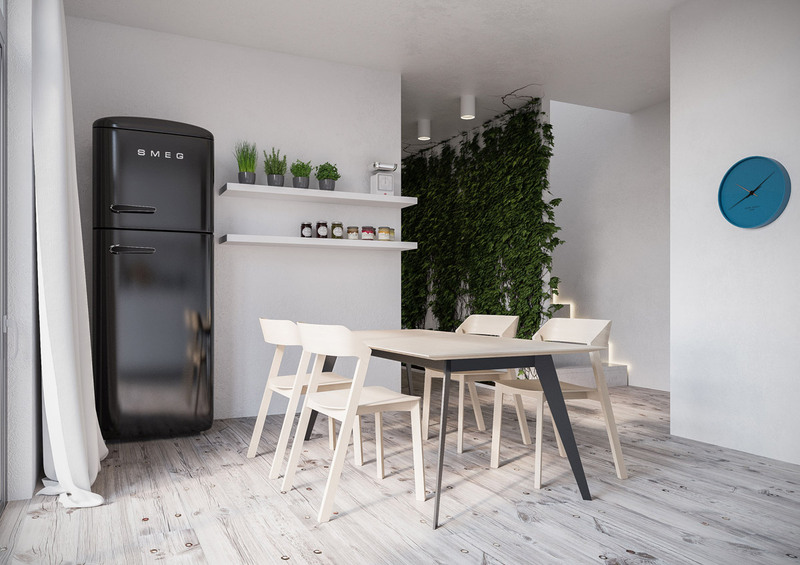 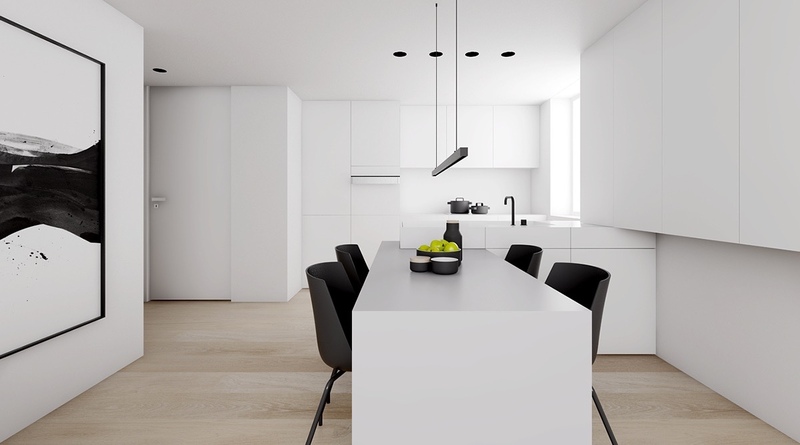 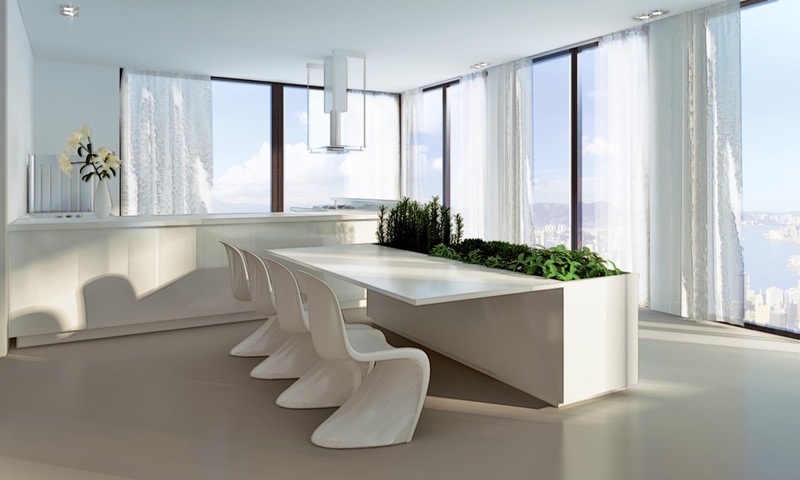 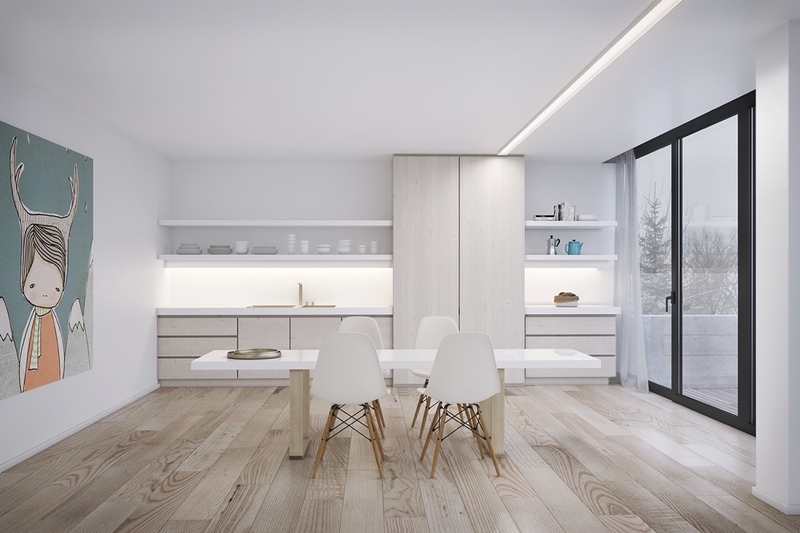 Two brands of white Scandinavian style chairs make an appearance in this minimalist dining room: the Panton S sculpted chair and the classic Eames chair. 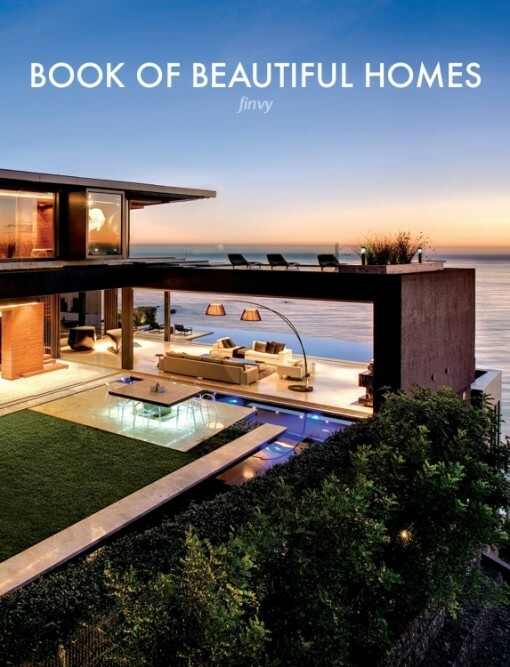 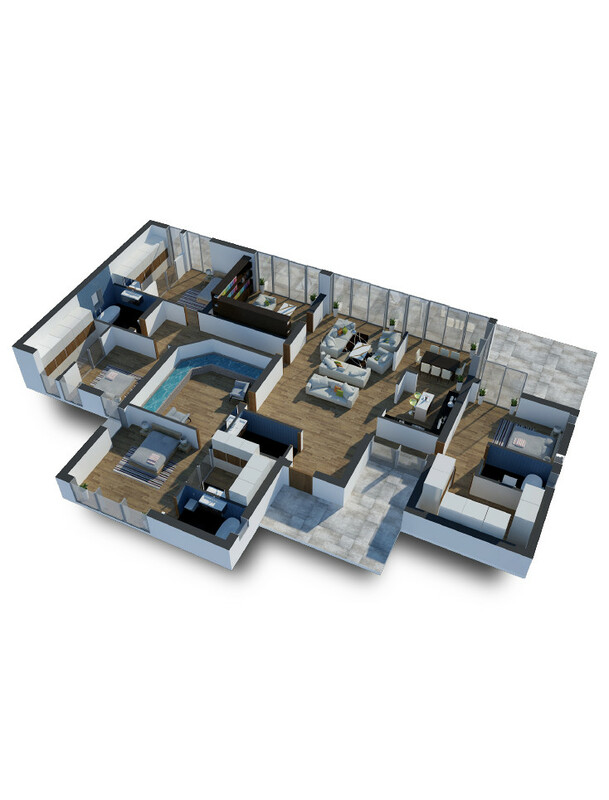 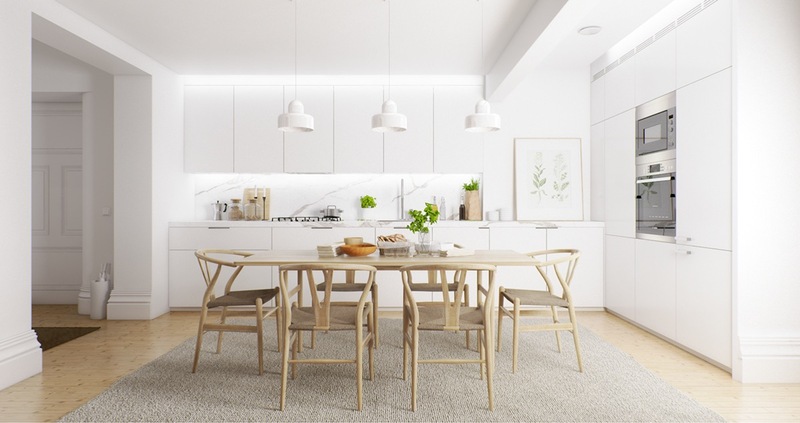 For a more colorful minimalist dining room, consider subtle shades like sage green, which work nicely with this room’s http://amzn.to/2hRQezh. 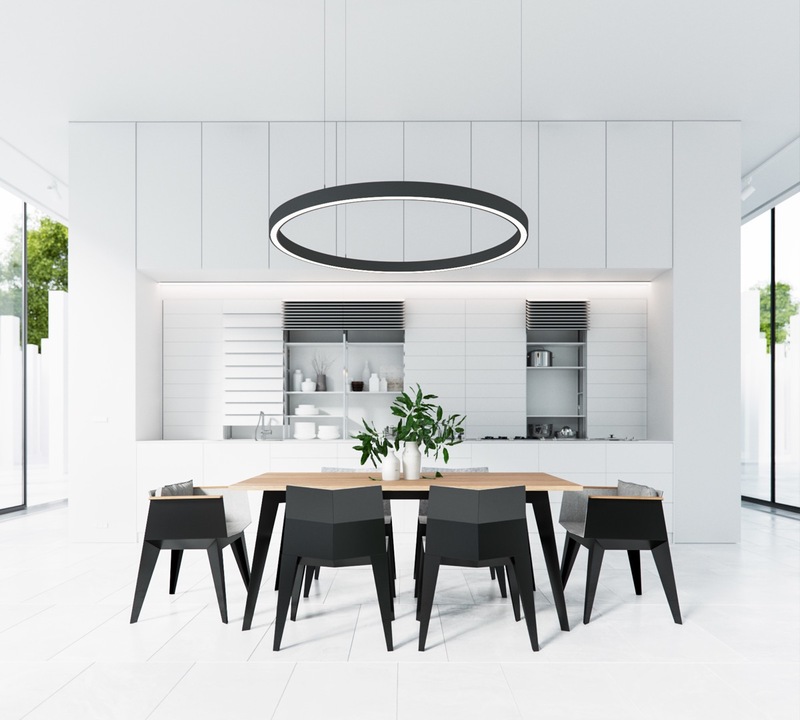 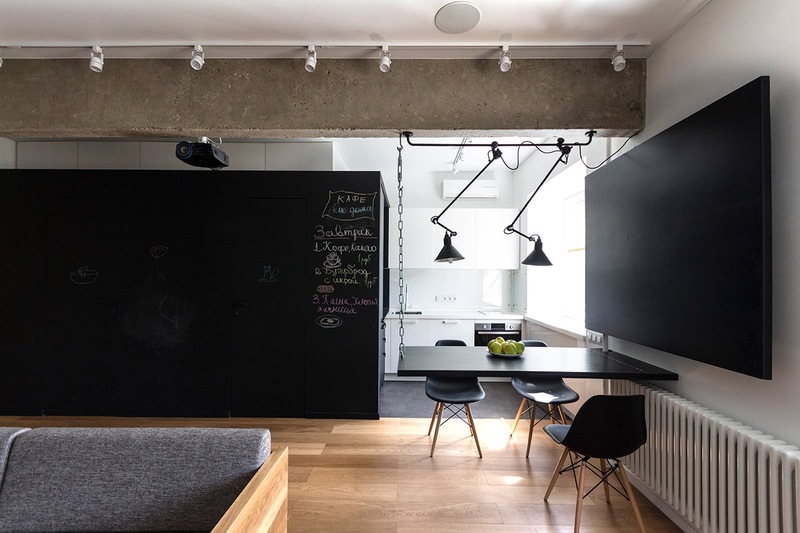 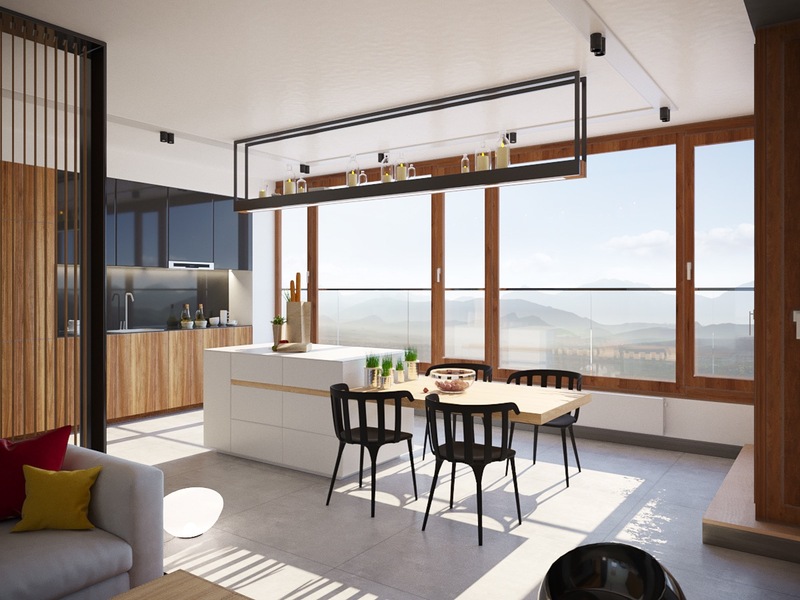 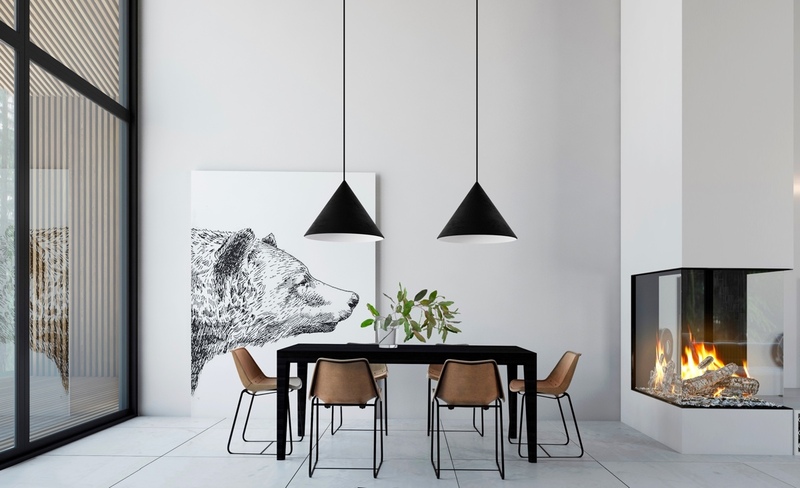 Similar dining pendants are available here. 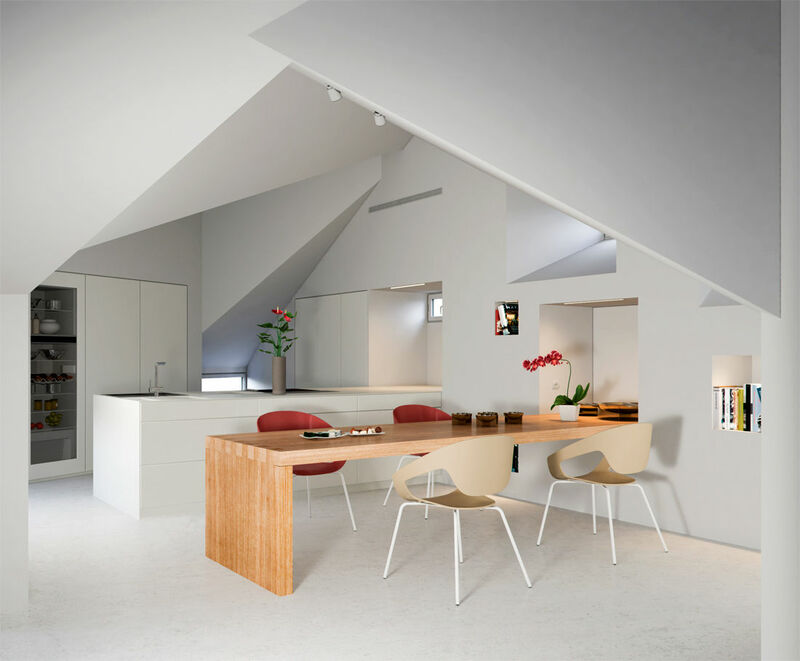 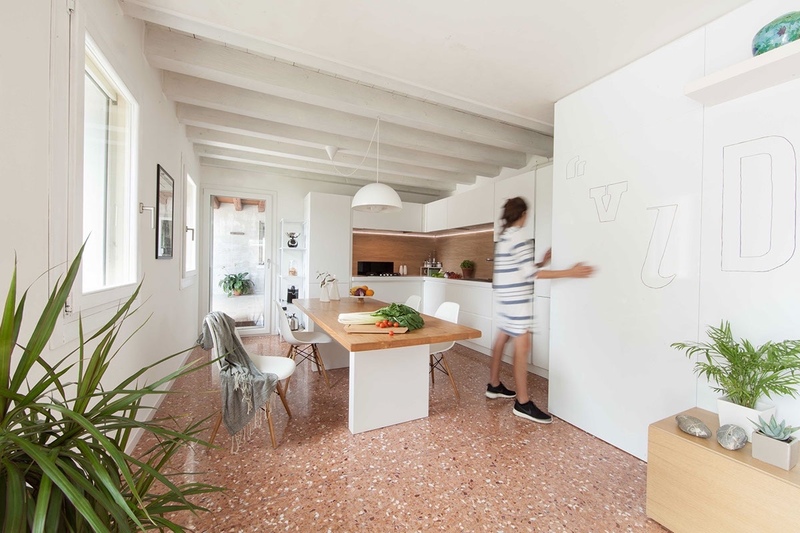 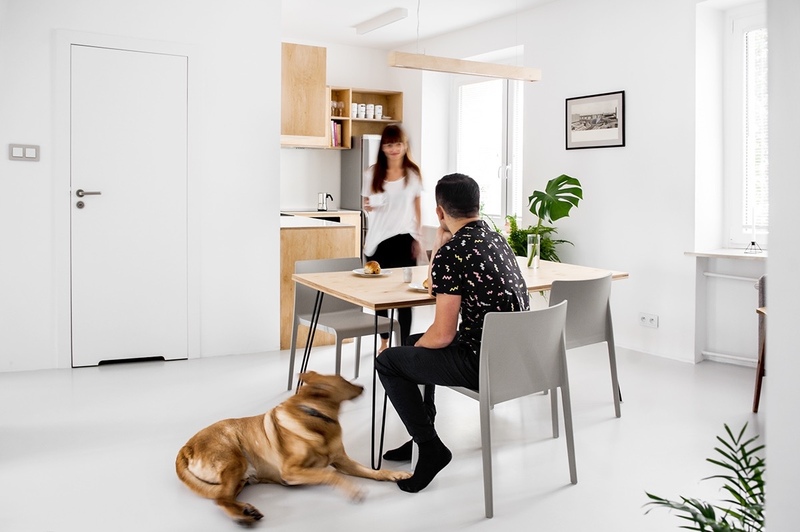 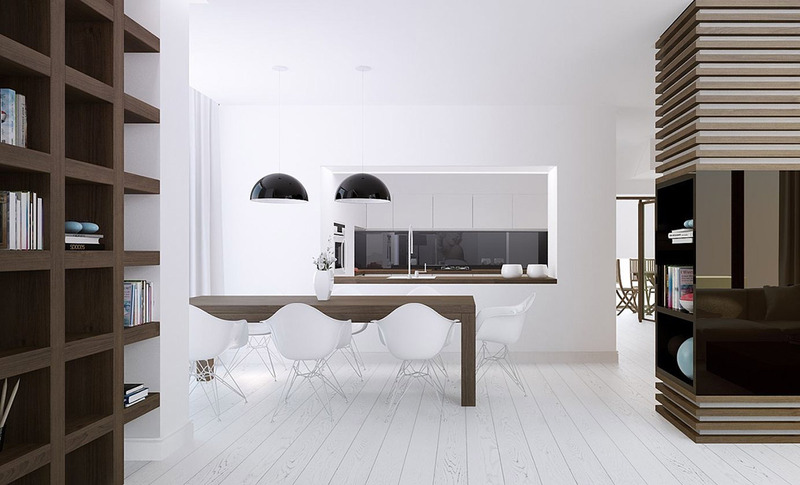 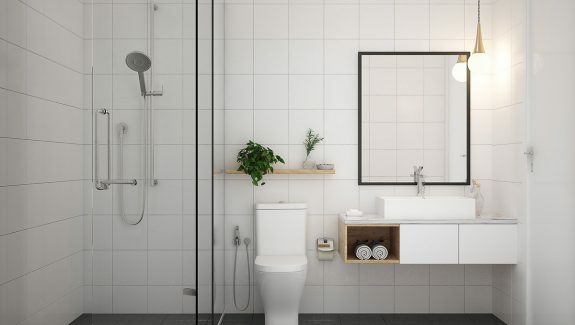 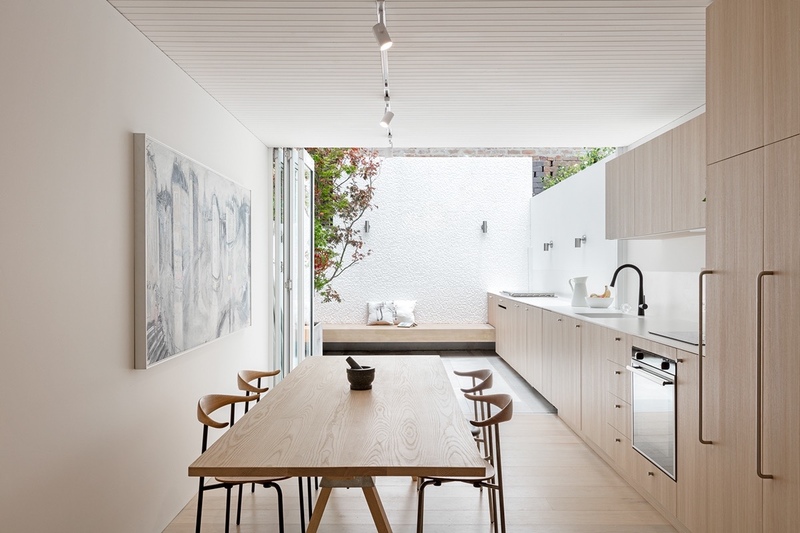 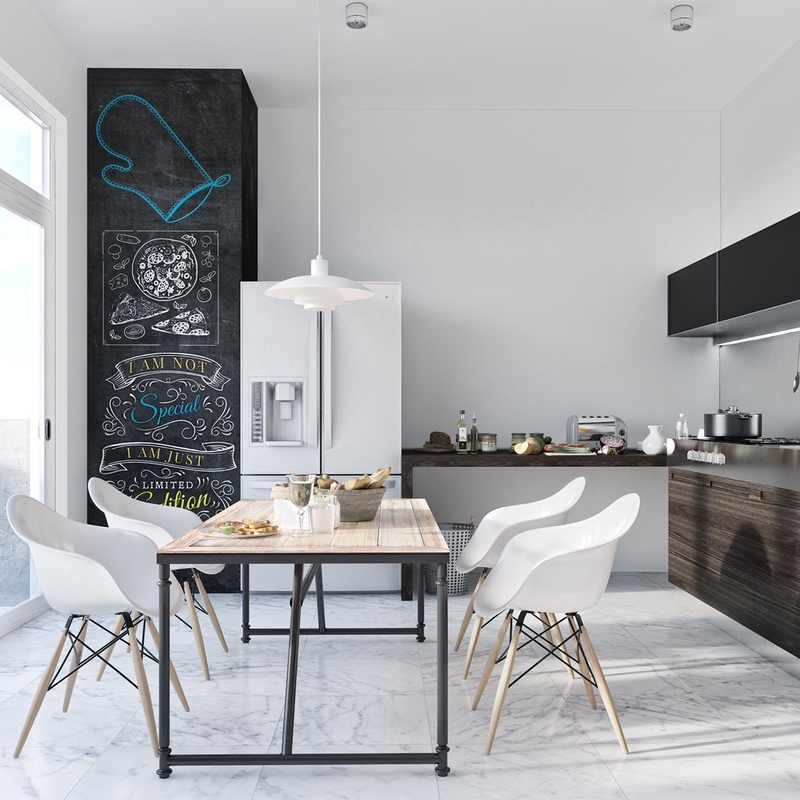 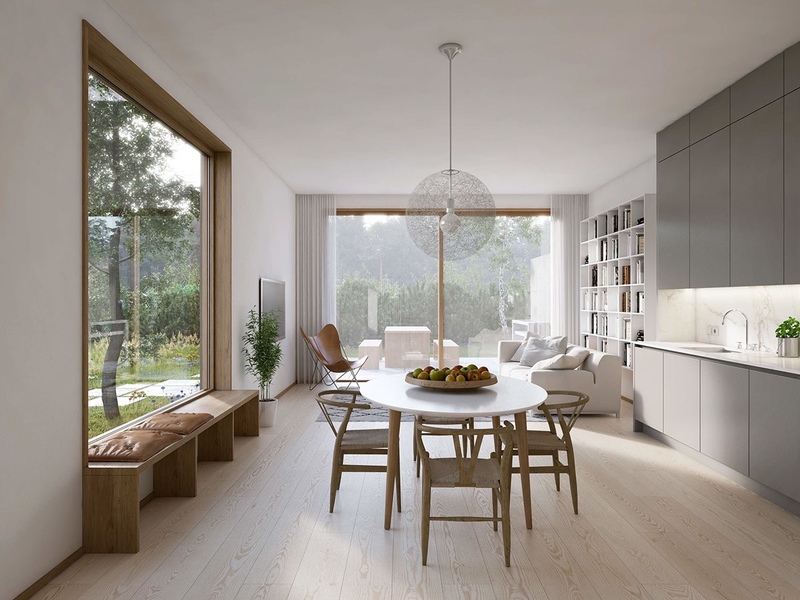 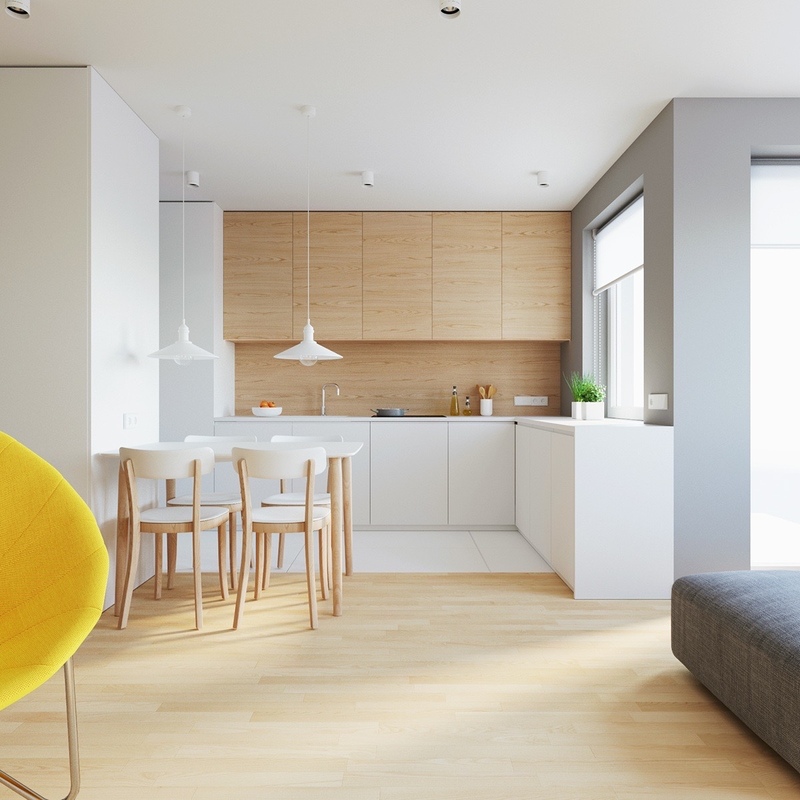 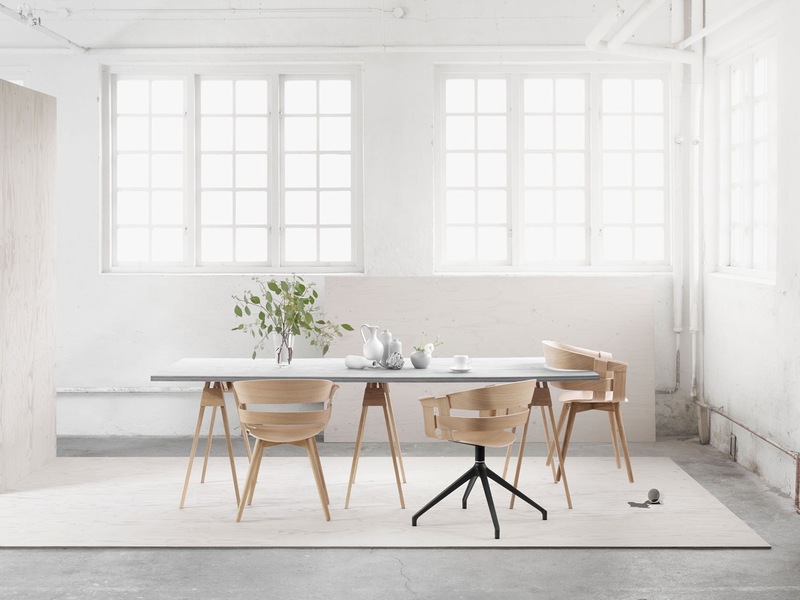 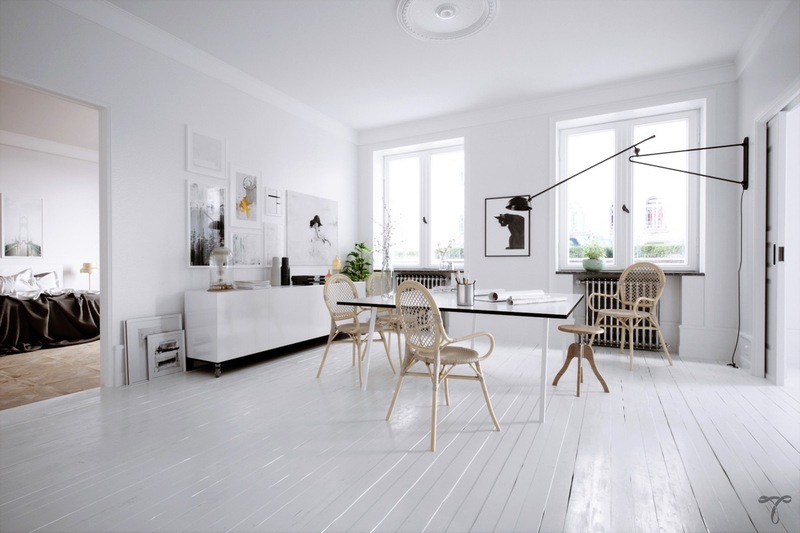 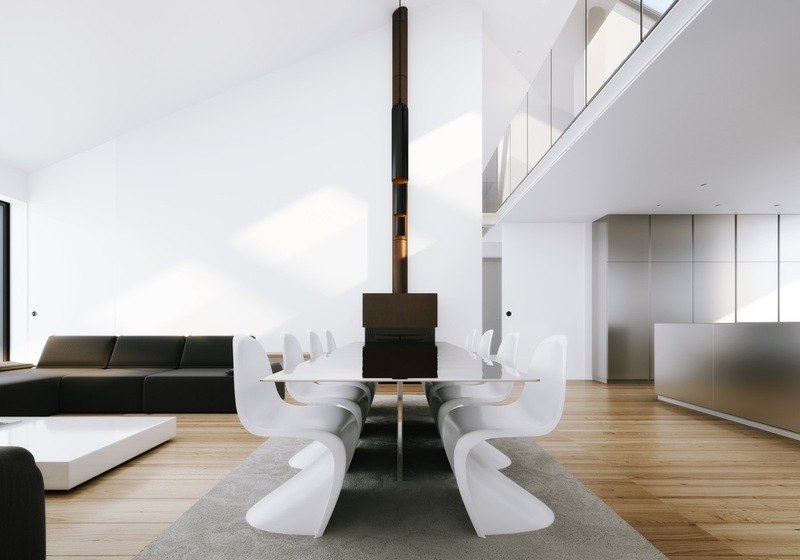 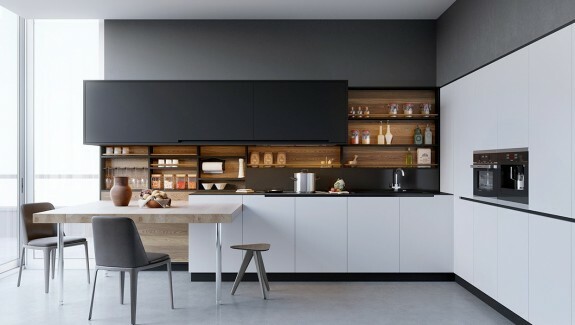 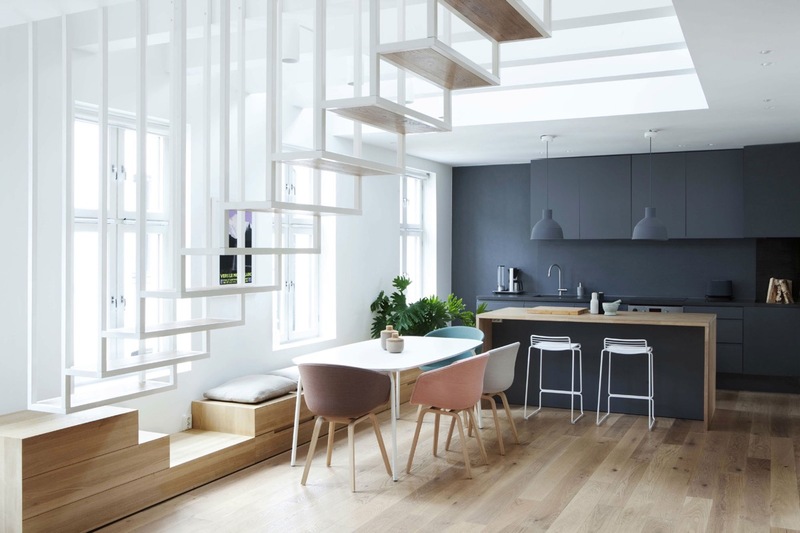 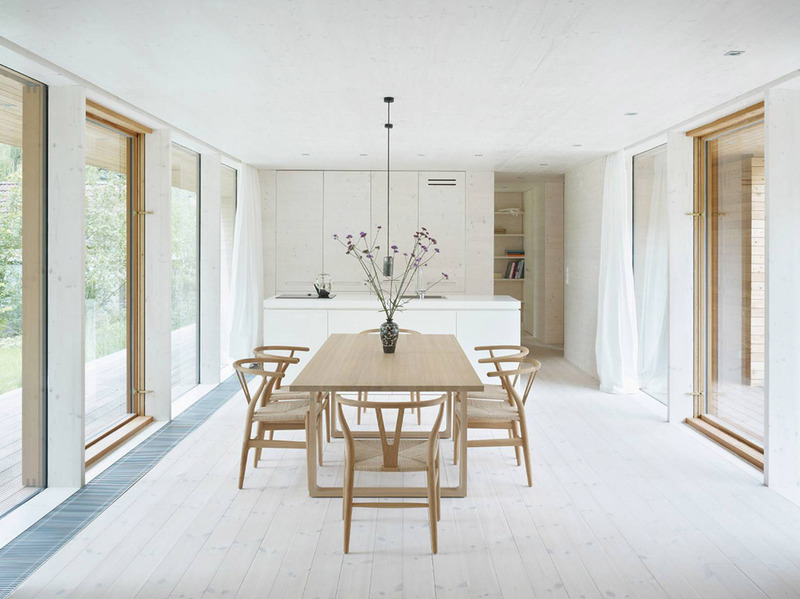 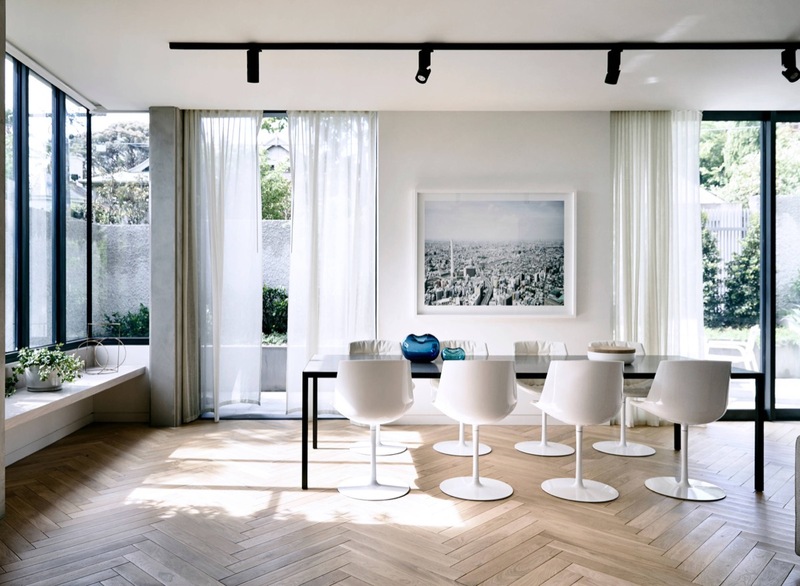 The light wood Wishbone chairs featured here have that minimalist Scandinavian vibe that is so on trend. 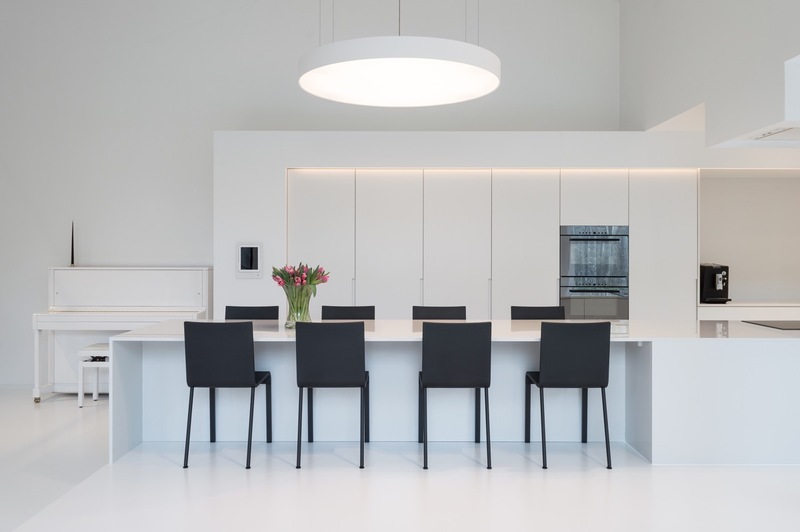 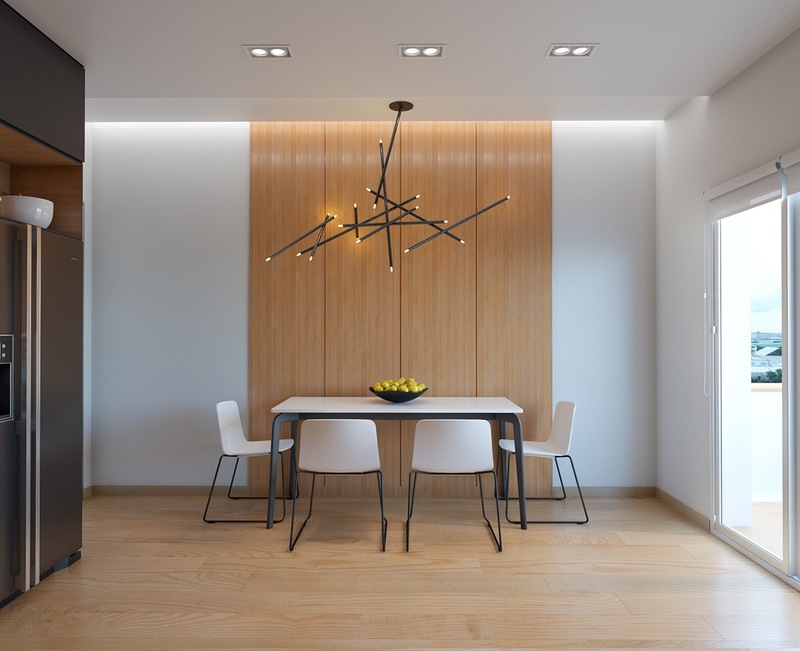 When a large statement dining pendant doesn’t quite work, more subtle pendant lighting combined with recessed lighting can be design-friendly as well as practical. 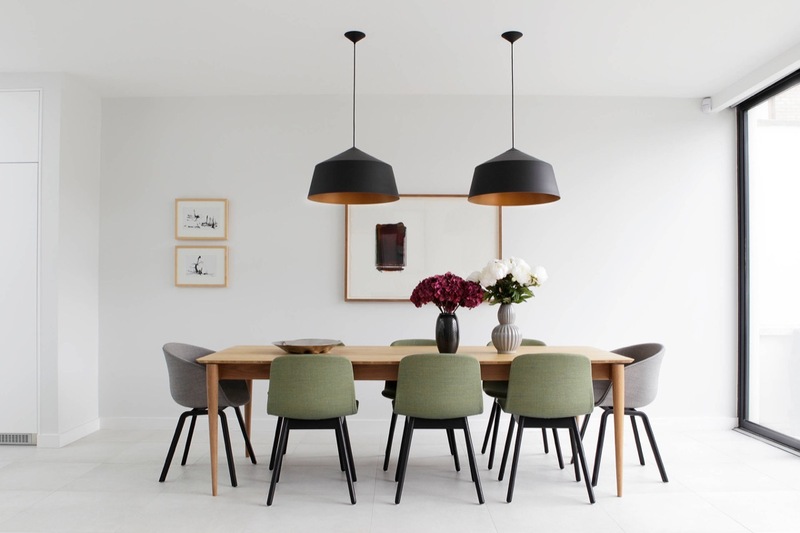 The Eames shell chair is a another stylish addition. 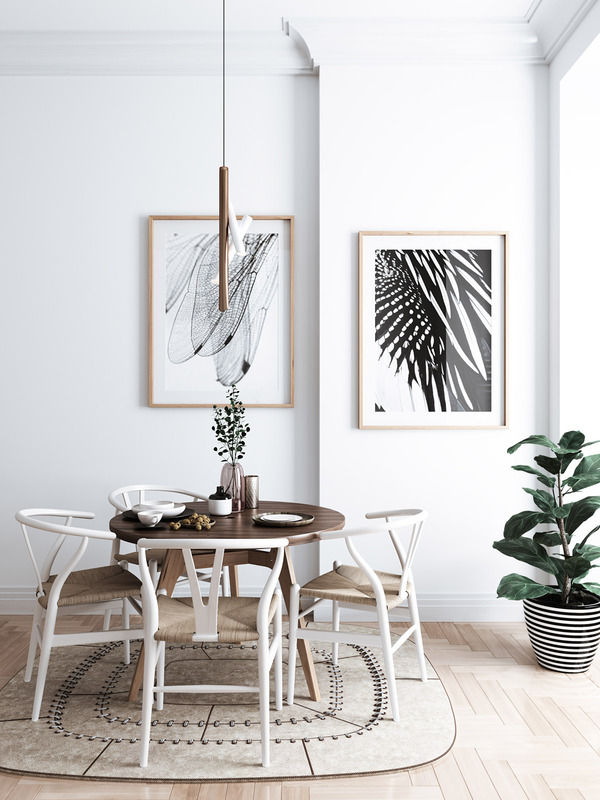 You don’t need a lot of room to make a minimalist dining room with artificial tropical leaves work. 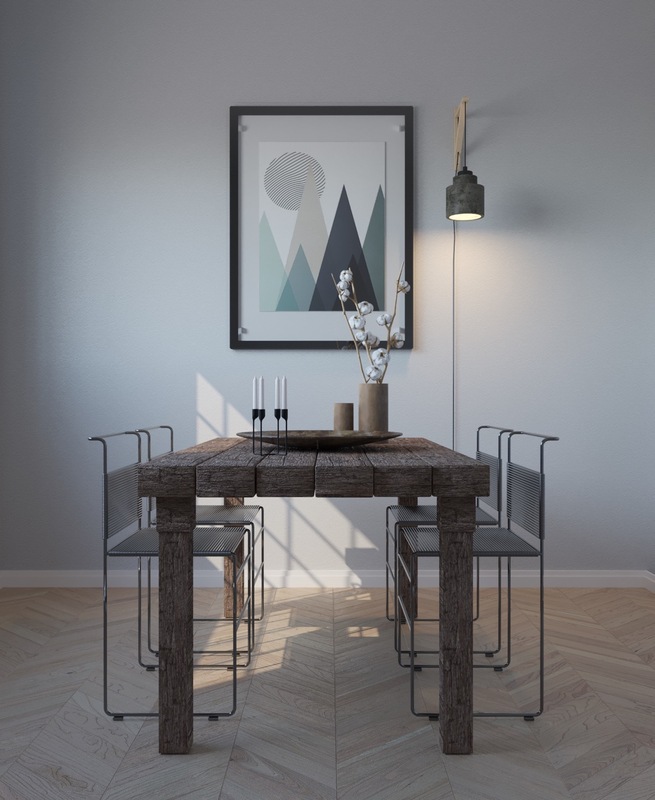 Lest you think the shell chair is the only Eames option for minimalist, the Eames eiffel base arm chair is another simple and beautiful option. 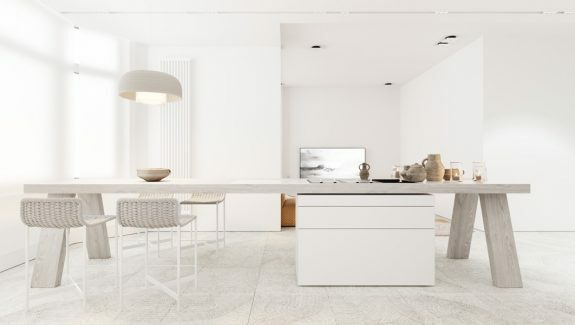 When a dining table butts up against the kitchen counter, an easy flow is created. 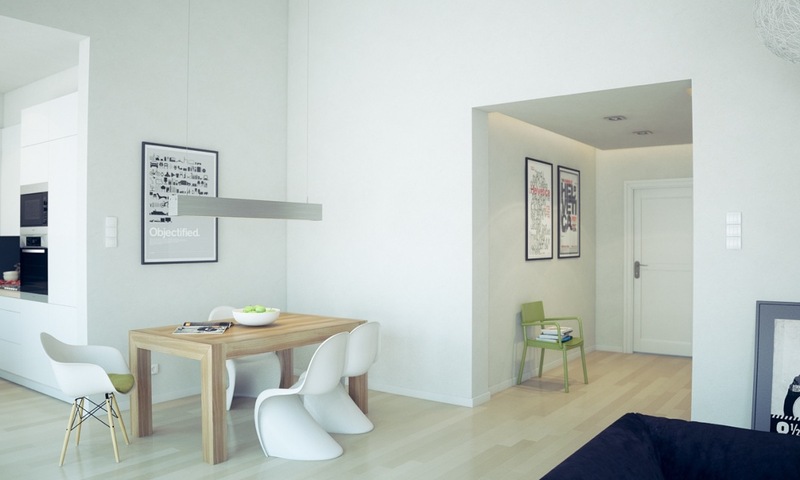 The linear suspension light helps, too. 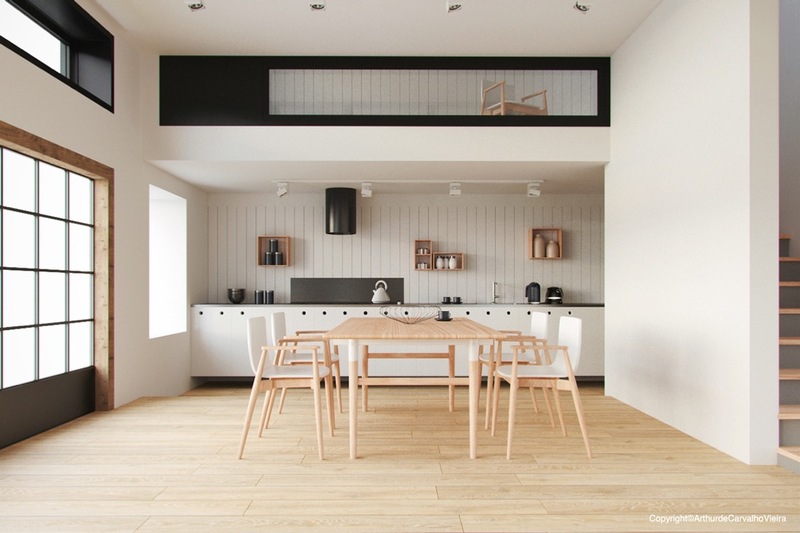 Mismatched About A Chair replicas take a minimalist dining room in a bohemian direction. 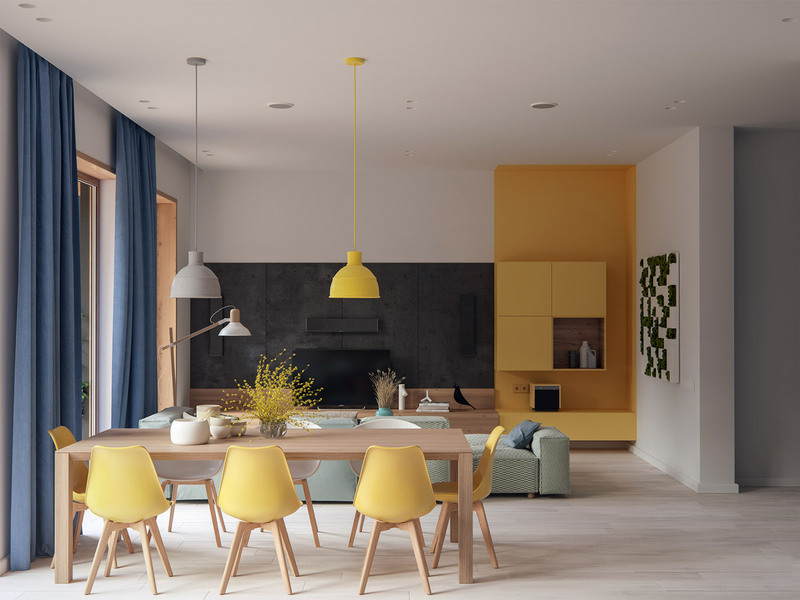 In this colorful minimalist dining room, the Unfold pendant matches the yellow Eames chairs. 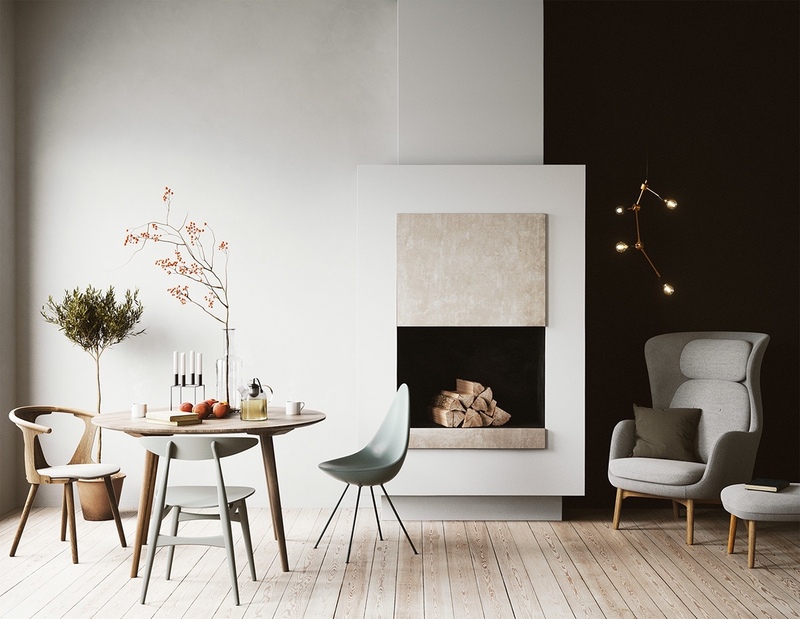 This cozy dining room with a Drop chair definitely has the feeling of hygge — the Scandinavian idea of utter coziness and relaxation.